Along with Valentines Day, February is heart month and the ideal time to focus on prevention, getting in shape and bringing healthy back! This edition of the Dr. Joey newsletter is filled with healthy and decadent chocolates, easy to make recipes, natural ways to curb cravings and foolproof methods to lose your weight and feel your very best. If you want to "take it up a notch" in terms of health, don`t forget to book in for your FREE initial weight loss assessment at one of our Shulman Weight Loss clinics (long distance programs available). See some of our success stories below. Wishing you a month filled with happiness, love and... a little bit of healthy chocolate! Have you joined the Cityline weight loss challenge yet? If not check out how our winners are doing. Simply visit www.cityline.ca to discover delicious meal plans and and get your own start up package. Say bye bye to cravings in a healthy way. 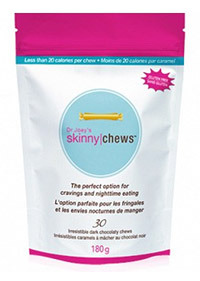 If you need a sweet and healthy treat after a meal, turn to Skinnychews. Loaded with 2 grams of inulin fiber, all natural and only 17 calories per chew you will feel satisfied all the while staying on a healthy track. For the month of February, you will receive $2 off each and every order you place on www.drjoey.com by entering the word heart as a discount code. Giveaway alert! We want to thanks Ella`s Botanical`s for putting together a basket for one of our lucky newsletter readers. The basket contains My Darling Clementine Lotion (featured above), a Clementine Magic Balm (good for dry hands, feet, lips, etc.) and Lemon Zing Bar Soap. We will randomly select one newsletter member to win this goodie bag and we will contact you through email. Good luck! These delicious dark chocolate bars are filled with clean ingredients that won`t spike your blood sugars and leave you craving more. 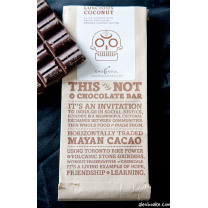 Made in Canada using organic, forest garden, shade-grown cacao, these decadent bars are free of dairy, gluten, soy and nuts and are completely vegan base. With simple ingredient such as roasted cacao nibs, coconut sugar, coconut butter, cacao butter, vanilla sugar, and coconut oil, you can`t go wrong. 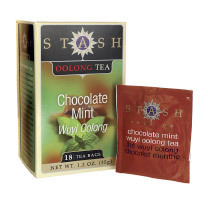 This delicious, chocolaty oolong tea by STASH is the perfect beverage to steep on a blistery cold day. The peppermint is great for digestion, while the cocoa powder contains antioxidants and has a sweet, delicious taste. If you saw my desk at work, I always have a bag of Wonderful Pistachios to nosh on. 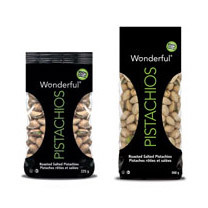 Filled with omega 3 and 6 fats, fiber and protein (9g of protein per 40 shelled pistachios!) they are the perfect option for healthy snacking. Available in 5 flavors including roasted & salted, salt & pepper, sweet chili, lightly salted, and no salt. am in! Created by Niila Zanette, "My Lungs Are Pink" beanies were to designed raise awareness for Plan Canada`s Little Leaders Program in Peru. This program helps to empower young people in Peru to transform their schools, their communities and future. 100% percent of the profits of My Lungs Are Pink beanies goes toward this cause ($20 per beanie). 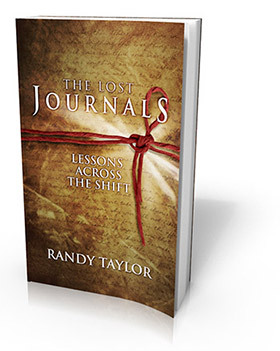 The Lost Journals, written by nationally acclaimed speaker Randy Taylor is a short but compelling tale of one mans personal journey through challenge and doubt. The story follows the main character Joshua along his own pilgrimage of tragedy and struggle all the while offering subtle lessons and reminders about the potential that lies within us all. Inspiring and thought provoking, this book is for all who want to figure out their purpose and live with passion. Free download available from February 9th-13th only! Combine all the ingredients in a blender or food processor by adding the honey first, followed by the avocado, vanilla and cocoa. Blend or process for about 30 seconds until smooth and creamy. Add a splash of water or coconut water to make a lighter mousse. Spoon into a bowl and allow to set in fridge until cool. Butter an 8-inch baking pan. Place the black beans, eggs, melted butter, cocoa powder, salt, vanilla, and sugar in the bowl of a food processor and blend until smooth. Remove the blade and carefully stir in the chocolate chips and walnuts. Transfer mixture to the prepared pan. Mash the avocado, leaving some chunks. Add olive oil and lemon juice. Roll the mixture into 12 one-inch balls and roll in coconut (or crushed almonds) to coat. Refrigerate at least 30 minutes. Cocoa is a source of antioxidants, which provide beneficial heart health properties and are known to help lower cholesterol levels. The darker the chocolate, the more antioxidants it contains! Cocoa contains healthy fats, such as oleic acid (the same monounsaturated fat that is found in olive oils). These heart healthy fats are good for your skin, hair and cells. SHULMAN WEIGHT LOSS SUCCESS STORIES CONTINUE! Our clients keep on losing weight and feeling great! We are so proud of Heather M. for losing 55 pounds. Congrats Heather we are so thrilled for you.